For the ultimate walk-in closet for a bachelor, you should strongly consider a grey and metal color scheme. Here’s another example of how a chandelier can really add beauty and charm to a luxurious walk-in closet. 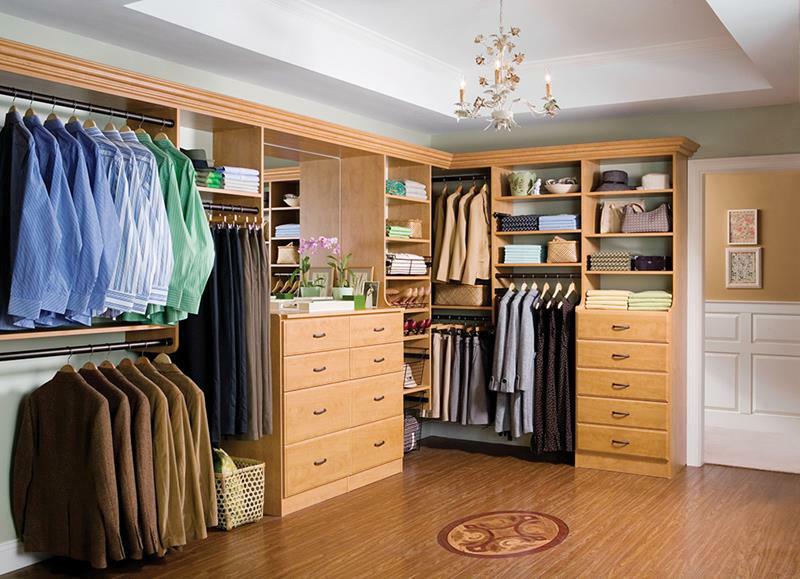 To get a walk-in closet that’s truly astounding, you’ll want to make an interesting choice with respect to your flooring. Check out the hardwoods here. 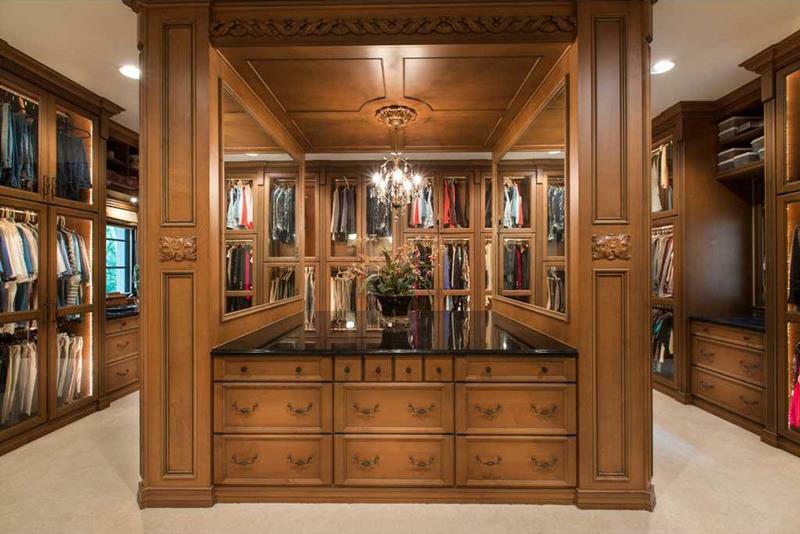 The incredible detailing that’s been incorporated into this walk-in closet is truly astounding. The huge built-in island with dueling mirrors in this walk-in closet is imposing and gorgeous.